When a leading consumer goods manufacturer became plagued with high numbers of forklift safety violations and accidents in their loading dock area, Quarion Technology was brought in to install their solution to eliminate a previously unsolvable problem, bringing improved safety and greater productivity. Quarion's solution involved equipping 60 loading dock doors and 45 forklifts with their patent-pending DokSAFETM technology. DokSAFETM system uses Quarion's innovative ATLAR-5DTM precision indoor location system to precisely track position, heading and acceleration of the forklifts, as well as monitor the status of the loading dock. 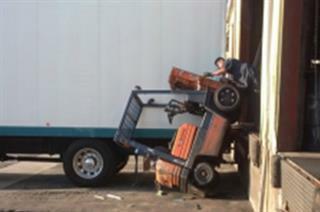 Unlike most market alternatives, DokSAFETM e-stops the forklifts when they enter unsafe geofenced zones, which in this case involved unlocked trailers at an assigned loading. The high-level precision of the system permits the users to design narrow tolerance zones, eliminating false e-stop triggers that are common with other systems on the market. This successful project led the customer to seek solutions for their next problem, unsafe speeds. 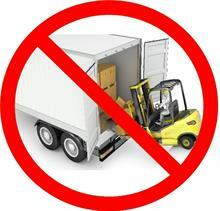 Quarion addressed this problem with its SpeedNFORCETM forklift governor module. SpeedNFORCETM, coupled with its ATLAR-5DTM, allows the customer to design precise, geofenced speed control zones to automatically limit forklift speeds in areas of congestion or high risk of collision. Another problem solved by Quarion Technology.